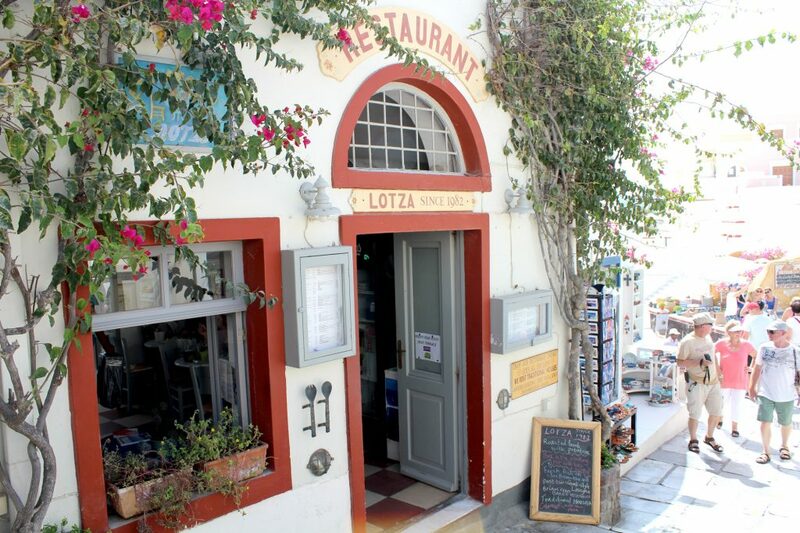 When I was doing my “where-to-eat-in-Santorini” research, a place that always popped out was Lotza Restaurant as the best Baklava in Santorini. 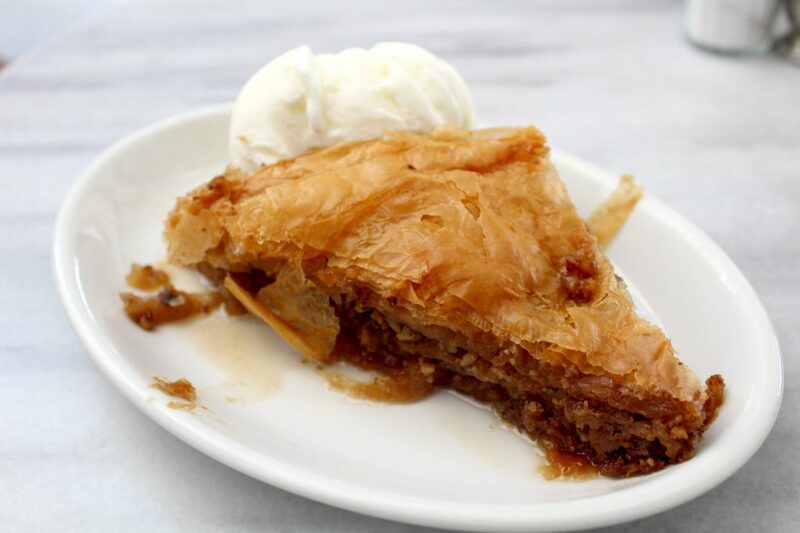 The place serves a good variety of Greek dishes but the highlight is their famous Baklava served with homemade vanilla ice cream. As Baklava is one of my fav desserts, I thought why not give it a try? Their Baklava is indeed good, but I’m not convinced it’s worth the wait to get a table in the restaurant. This place seems to be a famous spot amongst tourists, and I found out that’s pretty hard to get a table there, specially considering that I wanted a single slice of dessert. After waiting a few minutes a waiter finally helped me out but let’s say the service wasn’t that great. There are other places on the island with equally good quality Baklava where you can easily get your sweet and nutty dessert without all the wait and busy people around.